What is the MLA’s stance on the use of British spelling? 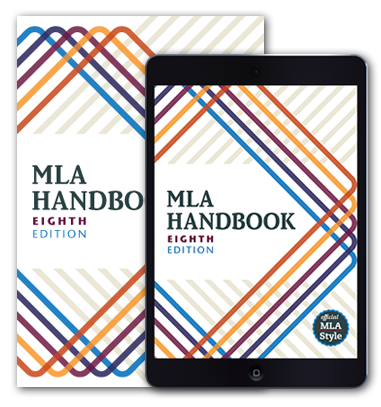 MLA publications generally follow the American spelling preferences listed in Merriam Webster’s Collegiate Dictionary and Merriam-Webster’s Unabridged. When you are writing a paper for a class in the United States, it is sensible to use American spelling, but in other contexts British spelling may be appropriate. Read our post on writing a thesis in British English. When should you correct spelling in a title? The spelling of a title should almost never be corrected, especially by students, even when the title seems to include an error. Sometimes the “error” is intended, as for the Stephen King novel and movie Pet Sematary, or may be otherwise purposefully made, however ill advised, as for the movie Two Weeks Notice. How do I handle prefixes such as pre- and post- in MLA style? MLA style, which follows Merriam-Webster, does not use hyphens after most prefixes. We would write, for example, antiestablishment, coauthor, nonlinear, and prealgebra. A hyphen is needed, however, before a capital letter (pre-Renaissance), when the term would be hard to recognize otherwise (anti-intellectual), and to avoid misreading (the hyphen in re-cover, meaning “cover again,” distinguishes the term from recover, meaning “recuperate”). Martin Luther King Day? Martin Luther King, Jr., Day? MLK Day? . . .
Beware the spelling checker! Here’s what you need to know about using a dictionary . . .